Watching films in Spanish is a fantastic way to practise your listening, and to pick up new vocabulary. However, the benefits of watching films in a different language can also allow you to peek into a different culture, learn new historical, cultural, and social aspects of the language. We’ve put together some films for you to try, bringing together Latin American and Spanish cinema to showcase the breadth of films available in Spanish. A hilarious masterpiece of cinema, Wild Tales is a full-on rollercoaster film. Made up of six separate short stories written and directed by Damián Szifron and co-directed by Agustín and Pedro Almodovar, the ridiculous passions of the human race are explored with wry humour and gruesome detail. Each story presents a very dramatic situation stemming from an everyday occurrence, where normal emotions and reactions become extreme. Coming together one after the other, the situations bounce off one another, and the gripping and hilarious nature of the film will have you picking up some unsavoury, yet fabulous, Argentine vocabulary. Volver is a classic Pedro Almóvodar film made at the height of his career, and is a fantastic introduction to the idiosyncrasies of Spanish cinema. The cultural references, and the everyday Spanish-ness of the film serve as an excellent backdrop to the thrilling storyline, and of course the colloquial Spanish will help to get your ears tuned in to everyday speech. Penelope Cruz stars in a many layered tale spanning three generations. Her late mother returns to tie up some loose ends. Meanwhile she finds herself caught in a sticky situation that involves disposing a body and protecting her daughter. Subscribe to the My Daily Spanish newsletter and download a copy of 100 Days of Spanish Vocabulary and Expressions. Click the photo below. This film focuses on destiny, coincidence and unavoidable circumstances brought about by love. Otto and Anna, the protagonists, meet as children and become step-siblings, but an uncontrollable bond forms between them. The film, written and directed by Julio Medém presents a mysterious, and touching look at human relationships and the complications of family life. 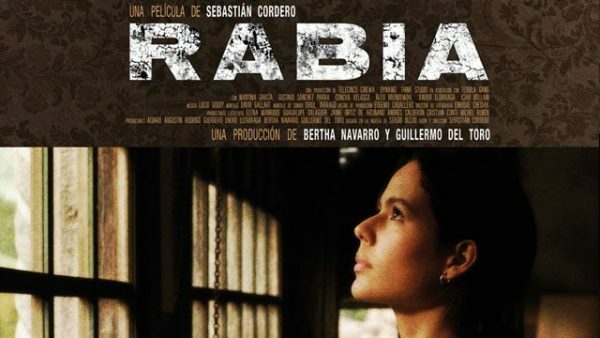 This Colombian classic, written and directed by Joshua Marston, is a heartbreaking comment on the reality for some young girls on the continent. Colombian Spanish is generally clear, and smooth, although some of the slang in this film may be unfamiliar to the ears of learners. Maria, a Colombian working in a flower factory, finds herself caught up in an industry that scarred the country for many years; the drugs trade.Her useless boyfriend, tough boss and demanding family lead her wanting more than her small town existence, and one day a chance meeting with a man connected to traffickers changes her life. Regional differences are very important in Spain, and there are many stereotypes.This film, directed by Emilio Martínez-Lázaro, makes a hilarious comparison of some of these differences. If you are planning on heading to Spain anytime soon, you need to watch this film! Martínez-Lázaro weaves a tale of an unlikely romance between Basque Amaia and Sevillian Rafa following a chance night of passion during Amaia’s unsuccessful trip to the South with her friends. Rafa decides to follow her to the Basque Country against the advice of all of his friends, to return the purse she left in his house. From this moment on the regional stereotypes play out in full glory in one of the most popular films ever made in Spain. Luis Buñuel is a master of cinema, and this movie is no exception. Exiled from Spain during Franco’s dictatorship, Buñuel is known for his controversial subject matter and his critique of society. The exceptionally weird and surprising black and fantastical comedy will leave you confused but also amazed. Guests at posh dinner party find themselves unable to leave at the end of the night. The upper-class mask of sophistication slips slowly off and the the guests become more animalistic with each passing hour. Gael García Bernal stars in this representation of Ernesto ‘Che’ Guevara’s awakening. The real ‘Che’ wrote a diary of the journey he made at 23 years old from Argentina across South America, accompanied by his friend Alberto Granado. As the young men, both training to be doctors, travel across the continent, the youthful innocence is challenged by the people they meet and the poverty or exploitation they come across. This is a touching portrayal of young men coming face to face with the world, and shows a version of the ‘Che’ before the revolutionary. If you’re a horror fan, there is no better way to terrify yourself and improve your Spanish at the same time than watching El Orfanato. This is no cheap thriller, directed by J.A. Bayona and produced by Guillermo Del Toro, El Orfanato is meant to resemble a film made in 1970s Spain. Laura returns to the orphanage where she grew up with her husband Carlos and adopted son Simón. She aims to turn the place into a home for disabled children, but when social worker Benigna begins to meddle in Simón’s adoption file the orphanage’s horrific past begins to unfold. Director Guillermo Del Toro wanted to make a ‘fairytale for adults’, and this film set deep within a haunted forest, at the beginning of a dictatorship that gripped Spain until the 1970s achieves just that. This is a great film for learning Spanish language and history in an unusual way. I would recommend watching the interview with Guillermo del Toro alongside to fully appreciate the significance of the fantastical symbolism within the production. Whilst her military stepfather attempts to crush opposition forces, and her mother lies bedridden awaiting the birth of her brother, young Ofelia is left alone to explore and discover what lives around her in the forest. She discovers that she may be the heir to a hidden underground kingdom, but this reality merges with the lives her mother and stepfather lead. Based on the 1976 novel by Argentine writer Manuel Puig, this story confronts notions of homophobia, friendships, masculinity, love and violence. The novel has also been made into a play and a musical, and is essential reading or viewing for anyone interested in Latin American history and culture. Valentín Arregui and Luis Molina are cellmates in prison. Through storytelling and conversation, the two become friends, and Molina appears to fall in love with Arregui. However ambiguity arises when we discover he may be making agreements made with the authorities. This thriller shows another side to Almodovár. A twisted and dark production, La piel que habito, is an intriguing and horrifying tale. Lonely and brilliant scientist, Dr. Ledgard, creates an infallible skin that withstands any damage after the death of his late wife. However, as he tests out this skin on a vulnerable young woman his past life comes back to haunt him. The community around him also begin to suspect that there is something deeper going on. Another excellent thriller, this time Latin American. El secreto en sus ojos is a masterpiece. Justice and pain lie at the heart of this brutal film that follows the story of a retired legal counselor Esposíto who is writing a novel about one of his unresolved homicide cases. The suspect leads Esposito on a chase, and shows his expertise and understanding of human nature. A fantastic film for those who like their suspense and mystery. This award winning film directed by Alejandro González Iñárritu portrays lives on the edge of society in Mexico City. Dog fighting, violence and poverty dominate the life of Octavio, and to make matters worse he’s fallen in love with his sister in law. Other stories overlap his, making Amores Perros a fast paced and gripping film, heavy on the violence, with moments of tenderness. Get your ears tuned into Mexican slang and fight back the tears with this one! Gael García Bernal once again makes an appearance in También la Lluvia, as a film director working in Bolivia on a film about Christopher Columbus’s invasion of The Americas. This is an excellent movie for hearing Mexican and Bolivian accents, and also for understanding the nature of ‘The Conquest’ and the aftermath that continues today. The directors arrive to find that locals in Cochabamba are protesting the Bolivian government’s agreement to privatise water supply in the area. They decide to continue filming and they hire locals as very underpaid extras, although they soon become embroiled in a moral dilemma involving the protests. Spanish cinema at its weirdest, Jamón Jamón is eccentric to say the least, and director Bigas Luna clearly demonstrates the Spanish obsession for delicious jamón. The basic storyline sounds fairly normal compared to the film itself; an executive at a factory finds out that his girlfriend, a factory worker, is pregnant and promises to marry her. Meanwhile his mother hires someone to seduce her in order to stop the marriage. Lets just say things escalate…and there is a lot of ham involved. Another classic Almovodár, this is a simultaneously funny, confusing and tragic story. Watch it and understand the mix of tradition and Catholicism, with rebellion and claims to alternative lifestyles that makes up Spanish culture. A mother has to make a decision as to whether donate her son’s organs after he is killed in a car crash. This leads her to travel to Barcelona to find his father, a transvestite, who never knew he had a son. This film shows the racism and discrimination that still exists towards Latin Americans in Europe. It also presents passion, anger, sadness, and how a moment can change the course of your life. Jose María and Rosa are South American immigrants working in Spain, and they have just started seeing each other. Jose María’s uncontrollable temper gets him into trouble and he escapes, hiding himself away in the house where Rosa works, without anyone knowing. As he sees the abuse she faces at work his anger grows and grows and becomes impossible to hide. The excellent acting in this film directed by Sebastián Silva, especially from its star Catalina Saavedra, make it a must-watch. It also puts domestic workers, very common in Latin America, in the spotlight and questions their role as part of the family. The maid in a upper-class Chilean household has worked there for so long that she cannot see any other life for herself. She feels that she needs to assert her place in order to stay. Her eccentric personality, fragility, and her perceived struggle to keep her place is heart wrenching, yet quietly funny. This racy coming of age film is not one to watch with your kids or parents. It is however, an honest look at sexuality, love, and teenage relationships, with a cheeky twist of course. It is also a visually beautiful film in that is showcases gorgeous Mexican landscapes. This Mexican production directed by Alfonso Cuarón tells the story of boys in Mexico over the summer, whose girlfriends are away. They end up taking a road trip with an older women, and they get closer than expected. A tragic, yet brilliant Iñárritu production, Biutiful shows a side of Spain that tourists are oblivious to. The beautiful city of Barcelona has, as many cities do, an underlying current of struggle and will to survive, and this film presents the different ways in which people will fight for their families and for a better life. The storyline follows Uxbal, a father played by Javier Bardem who is balancing between the underworld and keeping his and his kids’ lives afloat. When he is diagnosed with a terminal illness he works to recover his spirituality. So go forth and watch! You are now fully equipped to delve into Spanish and Latin American cinema. This would help improve your Spanish and tune in your ears to a range of different accents while soaking up on culture, romance, politics, drama, or perhaps just the madness of some of these films. Ellen Gordon is a writer, teacher and translator currently based at Santo Tomás University in Bogotá, Colombia. Her Spanish roots and lifelong interest in languages and culture led her to a degree in Hispanic Studies from King's College London during which she spent a year studying abroad in Barcelona. Also Deputy Editor of Sounds and Colours magazine, Ellen spends a lot of her time exploring the Colombian capital, learning about the country´s music and culture.